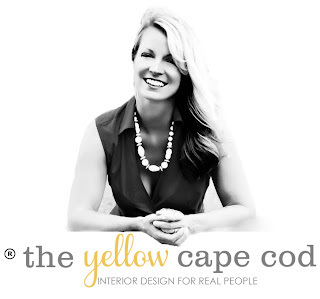 This morning, I'm taking a little break from Interior Design to talk fashion. 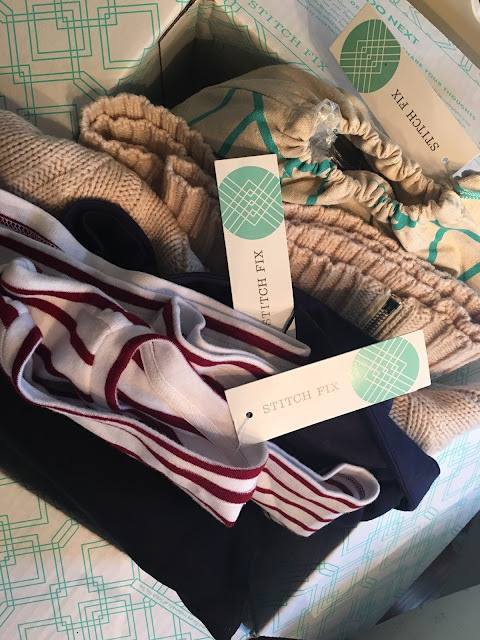 Recently I told you guys about my obsession with Stitch Fix and shared some of my recent "fixes" with you. 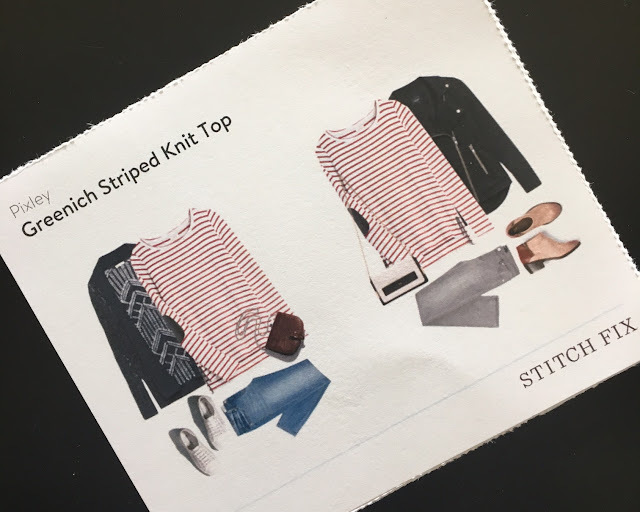 If you missed these posts or if you're wondering what the heck Stitch Fix is, click here or here. 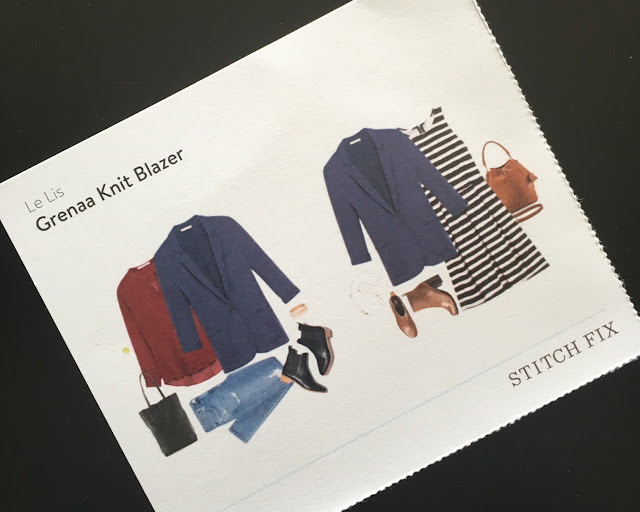 I typically request to have my Stitch Fix Stylist send me one fix per month. But this month, I'm preparing for a Fall Color Tour and Wine Tasting Weekend with the girls so I treated myself to an extra fall fix. I am so glad I did! My box arrived the other day and the items my stylist selected for me are perfect for my upcoming trip! 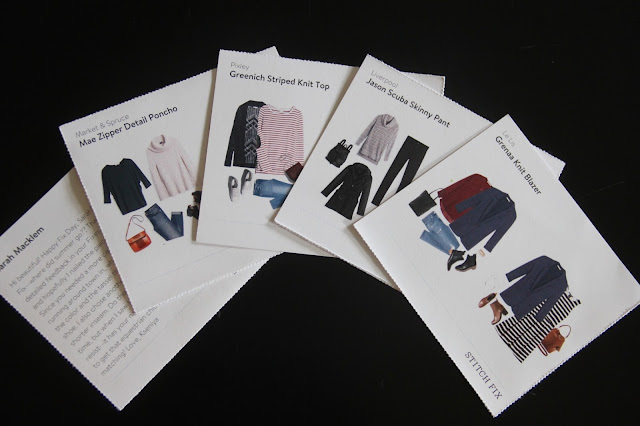 Each style card gives me a couple ideas on how to wear each of the five items she selected for me. 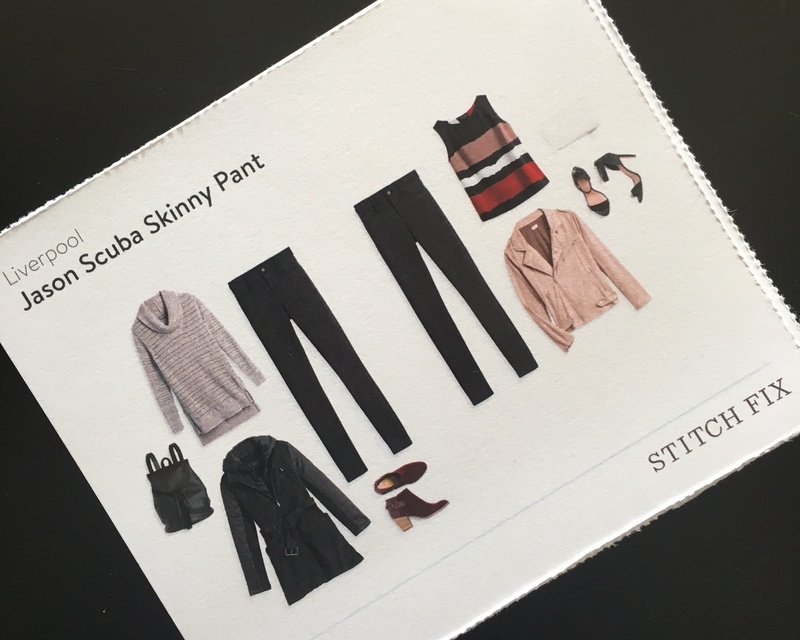 These style cards are one of my favorite things about the Stitch Fix experience because this is where I feel I need the most help, putting complete outfits together and experimenting with new looks without looking like I experimented. 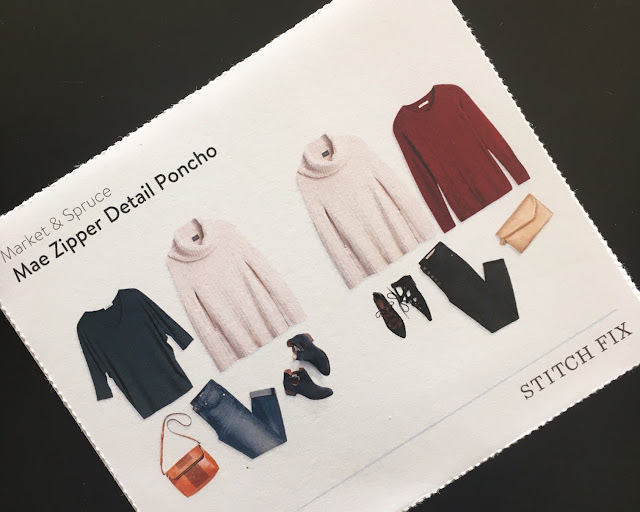 I'll start with my favorite item, the Mae Zipper Detail Poncho. It is a stunning, cowl neck sweater poncho. This will be perfect for my Wine Tasting trip up the Mission Point in Traverse City. I adore the simple, classic, equestrian style of this sweater and couldn't possibly love it more. Aside from the outfit inspiration she provided on the style card, my stylist also suggested that I wear this poncho with leggings and riding boots. 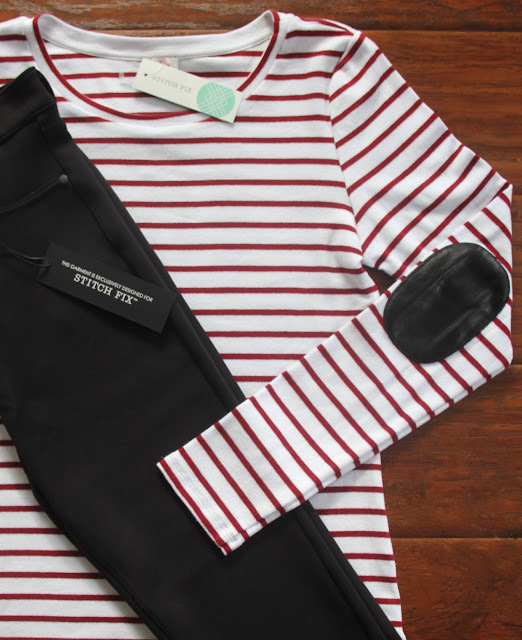 The next item in the box was the Greenich Striped Knit Top. This top was very soft and comfortable and had the cutest black patch on the elbow. This was the one piece in the fix that I didn't end up keeping. As much as I liked the colors and the style, I just didn't love the way it fit me. Next inside the box was the Jason Scuba Skinny Pant. These are amazing. They are the most comfortable and flattering leggings I have ever worn. They are very unique in that they have the feel and fit of a legging, but the pockets, button and zipper give them the look of a trouser. When I reached in and pulled out The Grenaa Knit Blazer, I was originally a little indifferent to it. My first thought was that it was a little flimsy and unstructured for a blazer. Once I tried it on I realized that is exactly what I love about it! It is so soft and comfy, the unstructured fit allows it to drape nicely. I have already worn it twice in the two days since I received my fix. 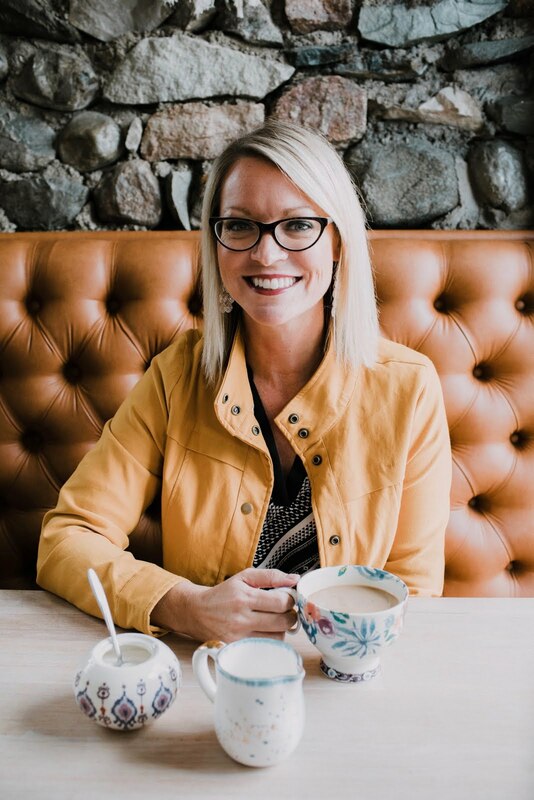 It is the perfect go to piece for the days when I want to look pulled together and professional, yet I need to be comfy. These are the times when I really appreciate having a stylist that pushes me to try things on that I normally would pass over in a store on my own. The last item in my fix was a pair of the most adorable, suede booties. 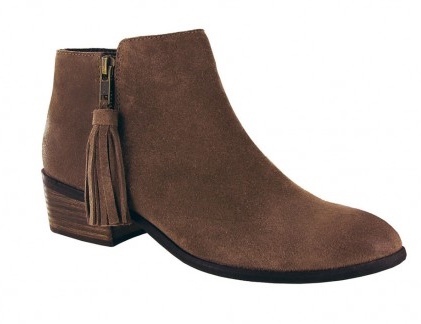 The Emerson Tassel Zip Booties in chocolate brown. These booties have the look of the popular suede bootie that everyone is wearing this season, but the lower heal makes them a very practical and comfortable option. They will be so cute on my trip, yet sensible for walking. 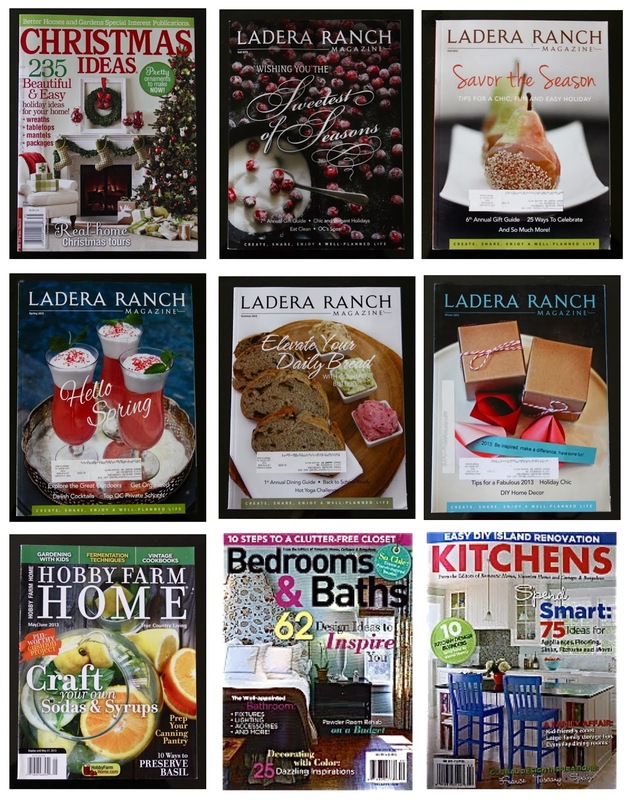 Thanks for letting me share my favorite fall fix with you today. 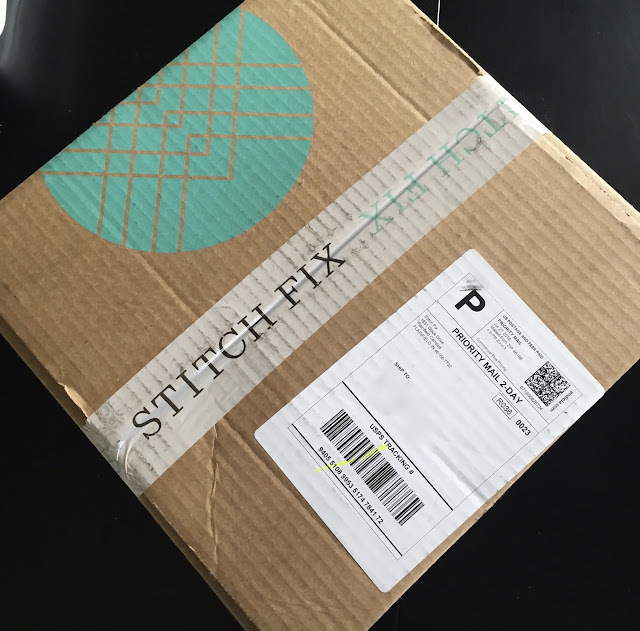 If you decide to give Stitch Fix a try, I would love to hear about your experience! This is not a sponsored post, however I do participate in the Stitch Fix referral program. You should take pics in your clothes when you post them. 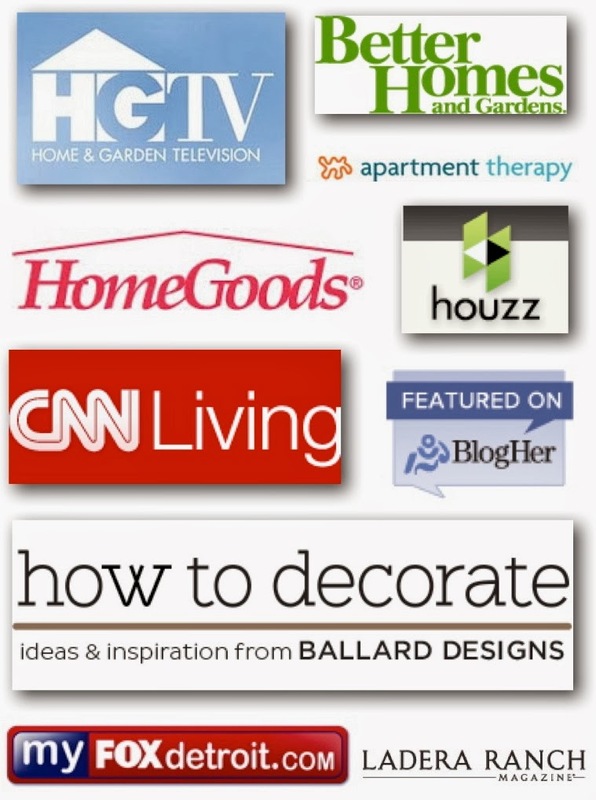 Want to see them on!